National Farm Safety & Health Week will include agricultural equipment safety as the harvest begins. According to a recent news release, as agriculture continues to rank as one of the most dangerous occupations in North America and across the globe, the National Education Center for Agricultural Safety (NECAS) at Northeast Iowa Community College’s (NICC) Peosta campus will put the spotlight on farming, ranching and related health and safety issues for National Farm Safety & Health Week, which will be observed Sept. 21-27, 2014. This year’s theme, “Safety Counts – Protecting What Matters,” will be the core focus of a number of events that NECAS is putting on in observance of National Farm Safety & Health Week at the NICC Peosta campus. The week-long event seems to come at a perfect time, as American farmers climb aboard their agricultural equipment and get started on the fall crop harvest. Notable events and demonstrations that will be included at this year’s event include hands-on demonstrations by NECAS (Grain bin rescue, manure pit rescue and auger/Power Take Off (PTO) Unit safety). 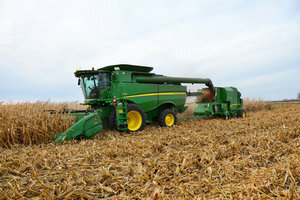 Each of these events will aim to address safety precautions that should be taken throughout the harvesting season and during everyday life on the farm.